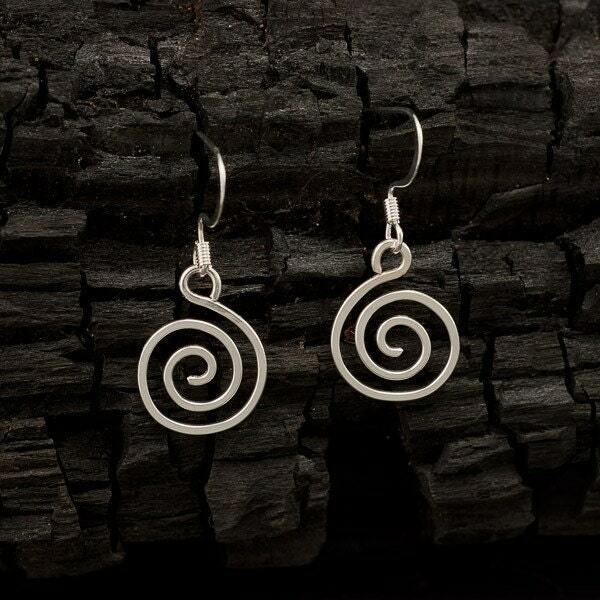 Ear-wires are handmade of high quality Argentium sterling silver, so even people who have allergic reactions to the copper in standard sterling silver can comfortably wear these. Hi, Lovely and light they are! 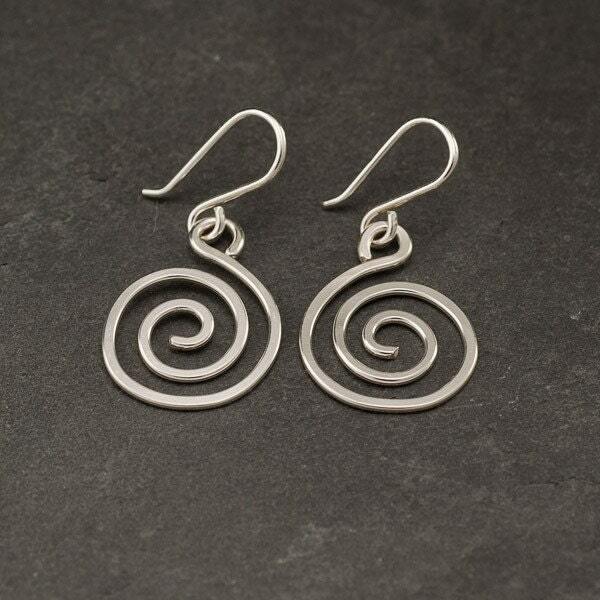 Spirals are one of my favourite forms in jewelry, and in nature. You could experiment w a larger swirl too!! (while still keeping them light). I really like your workmanship. Thanks! Annafiona Oh, and delivery very prompt delivery! I bought these for my BFF for her birthday because she lost a similar pair. (I haven’t seen them in person, yet. She lives 1,000 miles away. 😭) She loves them and will probably wear them everyday! Thanks! Fast shipping and item as described! No problems at all. Thanks so much!